The Youth Arts Program (YAP), brings our Maine community together by inviting youth ages 6-17 together to study with with world-class artists to experience music and dance firsthand. Students are engaged in an intensive and enjoyable three weeks of performing and visual arts classes taught by a staff of gifted arts educators from around the country. YAP is a full-day (9am to 4pm) non-residential program. 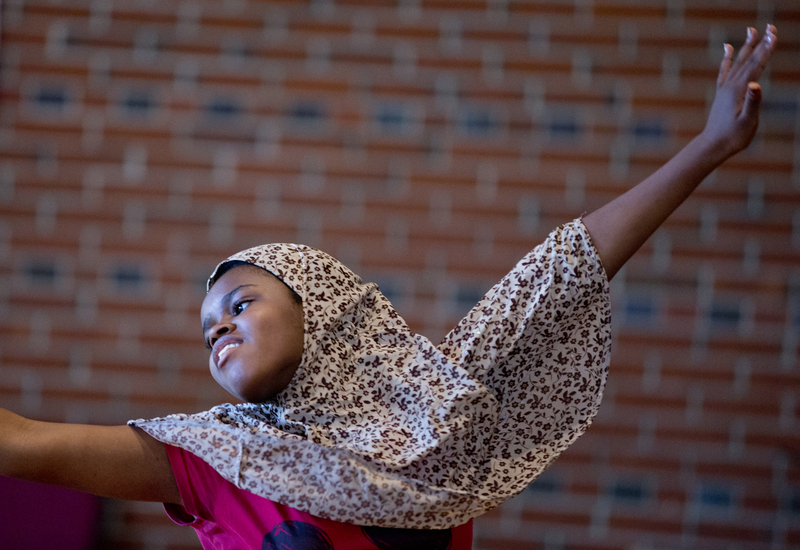 Bates Dance Festival hosts the Youth Arts Program (YAP), a community outreach program that brings youth from the Lewiston/Auburn, Maine community, and their families, together with world-class artists to experience the arts firsthand. 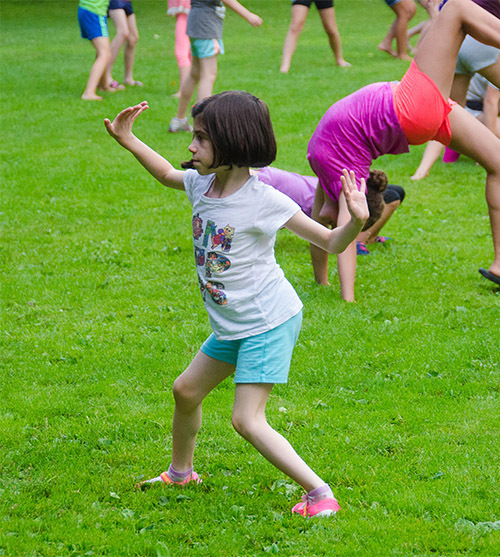 YAP engages young people ages 6-17 in an intensive and enjoyable three weeks of dance and music classes taught by a staff of gifted arts educators. YAP is structured as a full-day (9am to 4pm) non-residential program. The arts offer meaningful ways to engage children intellectually, emotionally and physically. 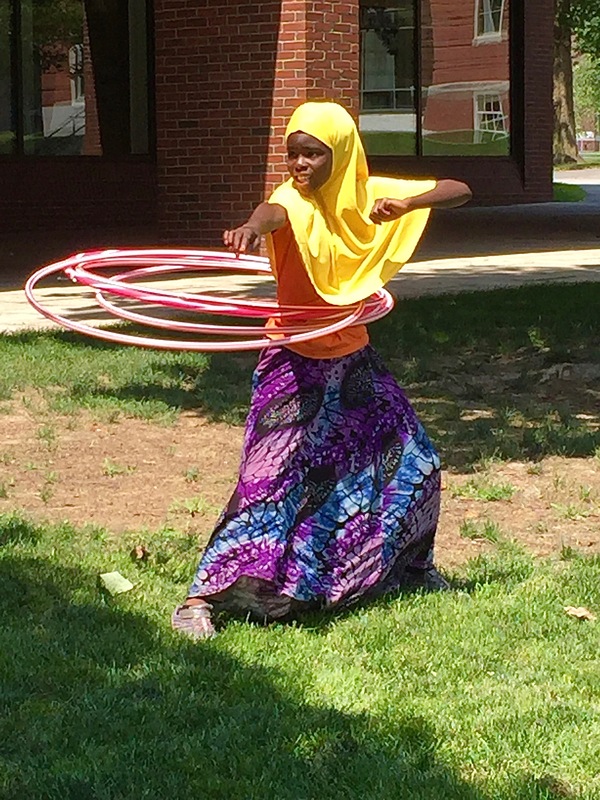 Youth Arts Program will take place from Monday, July 15 through Saturday, August 3, from 9am to 4pm at the Mays Center on the Bates College campus. A mandatory orientation meeting for all participants will be held on Sunday afternoon, July 15. A class showing will take place Friday, August 2. The Festival Finale rehearsal and performance will occur on Saturday, August 3. For more information email or call the Admission Director, Alexandra James at the Bates Dance Festival office, dancefest@bates.edu or 786-6381. Early Bird program fee is $675 (by Wednesday, April 10) plus the non-refundable $10 application fee. After that date the fee is $750 plus the $10 application fee. The program cost covers the three-week program including lunch in the Bates Dining Common, daily snacks and complimentary tickets for select Festival events. Family discounts are available for full tuition paying students. Children with no experience or lots of experience can participate, gain new skills, and HAVE FUN! 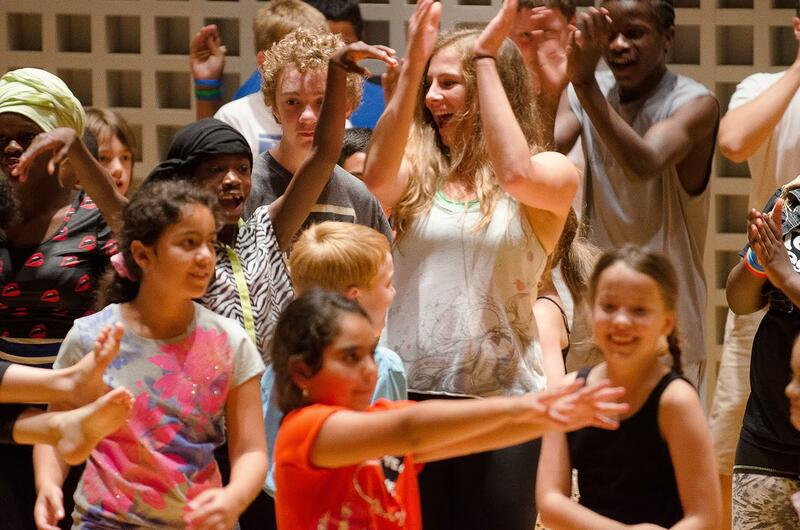 This summer will marks the 25th year of our Youth Arts Program (YAP), a community outreach program that brings youth from our community, and their families, together with world-class artists to experience dance, music, visual and literary arts firsthand. YAP engages young people grades 2-10 in an intensive and enjoyable three weeks of arts classes taught by a staff of gifted arts educators. YAP is structured as a full-day (9am to 4pm) non-residential program. 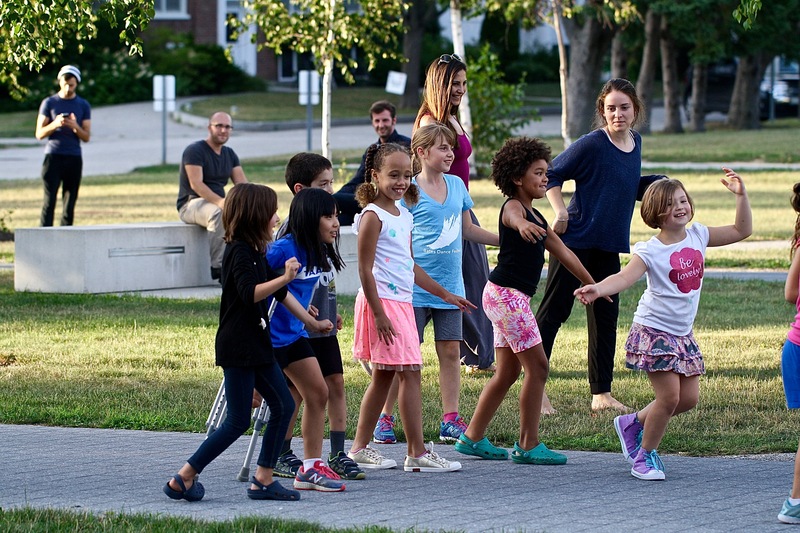 During the three-weeks students experience a range of dance/movement styles — from modern and ballet to hip hop, social dance and yoga– as well as musical genres from around the world, theater, storytelling, poetry, writing and visual arts. 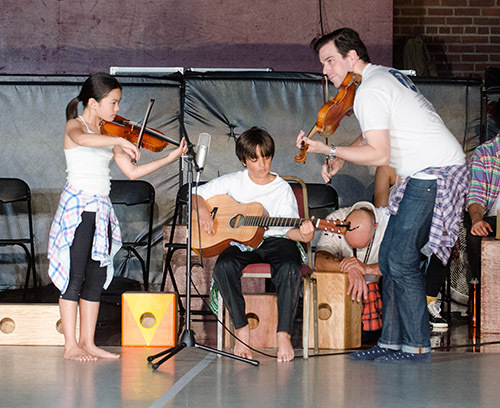 The arts offer meaningful ways to engage children in healthy, creative and expressive ways. Our mission is to enrich children’s lives through the arts. 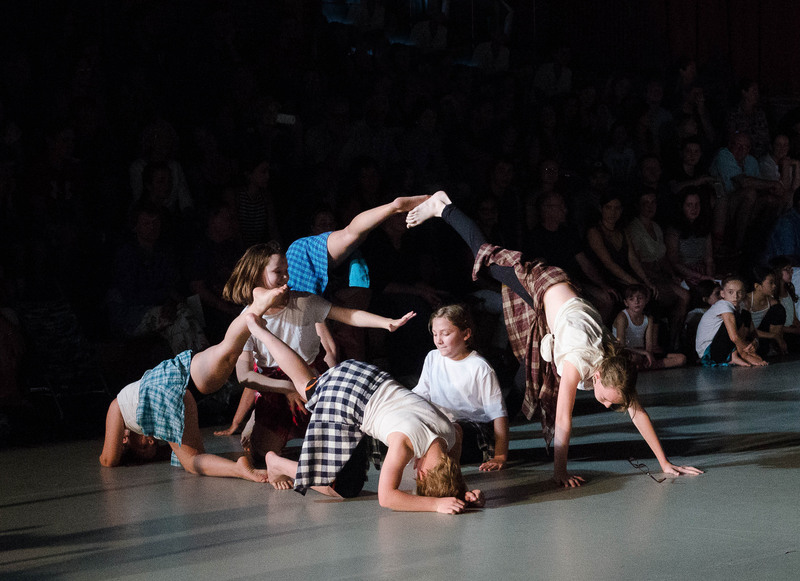 The Bates Dance Festival offers a limited number of partial and full YAP scholarships to qualifying families. To apply, complete the YAP application and select the option to apply for a scholarship at the bottom. Please mail your most recent 1040 and/or a written narrative documenting your financial need. Registrations are processed on a first-come, first-serve basis until all age groups are filled. A waiting list will be maintained in the event that space becomes available. If notified by Thursday, July 5 a full refund will be made less a $50 processing fee. No refunds will be made after this date. Youth Arts is made possible with generous support from: Leonard C. and Mildred F. Ferguson Foundation, Morton-Kelly Charitable Trust and the Sequoia Foundation. Please apply to the program online using the link below, after reviewing the information above. Professional, experienced, nationally recognized artists and teachers of children. 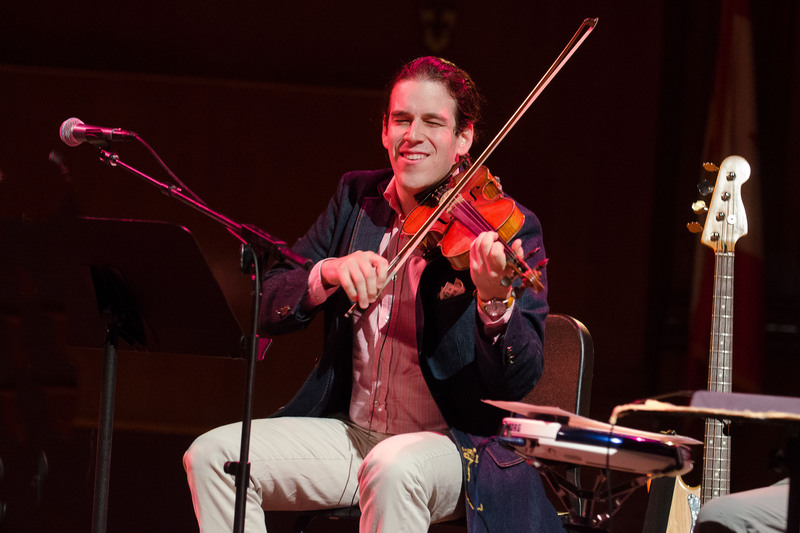 Rob Flax (music instructor) is an award-winning multi-instrumentalist, composer, and educator from Evanston, IL with a playful heart and an open mind. He has performed nationally and internationally with groups of many different styles, including opening for B.B. King and Tower of Power, playing viola and violin with the Trans Siberian Orchestra and YouTube star Jacob Collier, upright bass in an Argentine tango ensemble, mandolin and fiddle in various bluegrass bands, electric violin in several rock bands, collaborations with modern dancers, and more. As a composer Rob has written music for choreographers, film (including work on the soundtrack of James Franco’s film As I Lay Dying), and several original projects. Rob is a recent graduate of the New England Conservatory (M.M. 2012 – Contemporary Improvisation, Music In Education), and he currently lives in Boston, MA. Yvonne Hernandez (dance instructor) has served on the faculty of the Youth Arts Program since 2007. 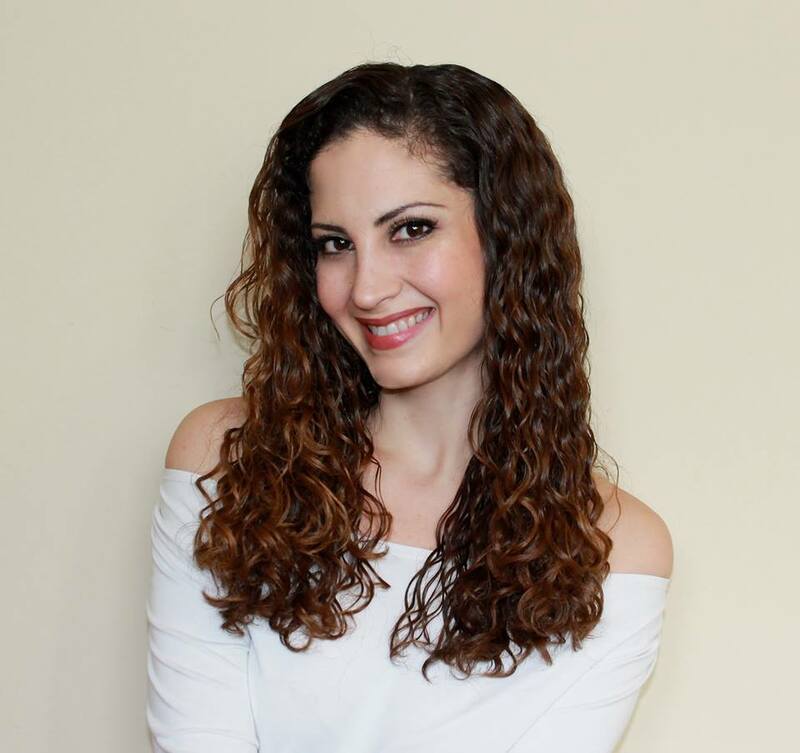 She is a Dance Teacher and Performer, a BA graduate of the Conservatory of Performing Arts at Point Park University in Pittsburgh, PA. Yvonne is also a 200 hr Certified Yoga Instructor for Yoga to the People in NYC, Certified Personal Trainer/Coach working with Athletes on LI, NY and a Certified Nutrition Health Coach. In 2010 she became company member, and currently serves as rehearsal director, with Jennifer Archibald’s Arch Dance Company. Under Ms. Archibald’s direction, Yvonne has taught at ArchCore 40, Fordham/Ailey Program, Columbia/Barnard University, Balletakademien Stockholm, Howard University, Cap21 NYC and has performed at various venues and festivals. She has also danced with Raja Feather Kelly’s The Feath3r Theory. Yvonne began her performing career in San Diego, CA. serving as Eveoke Dance Theatre’s Concert Company Dancer, Choreographer, Teacher, and Youth Performing Group Director. 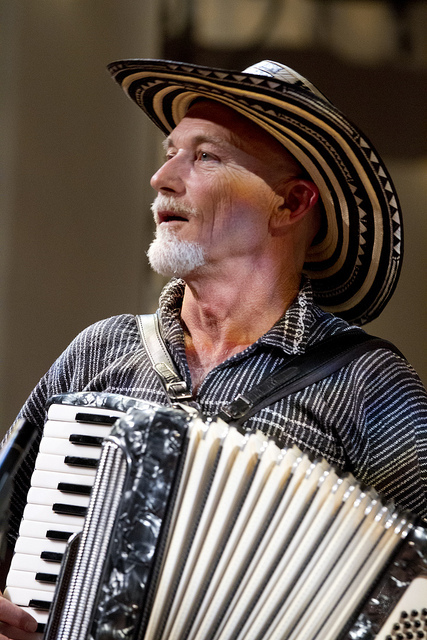 Terrence Karn (Music Director/instructor) In 1971 began his career as dance musician at The Minnesota Dance Theatre, as a dancer with The Andahazy Ballet, and a performer at The Minnesota Renaissance Festival. In 1976 he moved to Houston, TX to work at The Texas Renaissance Festival and began a long standing career as a world music and dance artist in Houston area schools. Terrence has served as an accompanist and Character Dance teacher at the Houston Ballet Academy (1988-2007); Resident Musician in the School of Theatre and Dance at the University of Houston (1999-2007); and Resident Musician in the Department of Dance at Denison University (2007-2011). This summer he will return to the Bates Dance Festival for his 18th year as the Musical Director for the Youth Arts Program and will return to the American Dance Festival for his 5th year as an accompanist. Terrence has composed numerous works for dance companies on planet earth, and has played for over 17,527 dance classes & counting. Annalyn Lehnig (theatre and storytelling teacher) earned her BFA in theatre with an emphasis on original work from Cornish College of the Arts in Seattle, WA. In New Orleans, she worked as a teaching artist and administrator with YAP Program Director, Dana Reed, to develop and promote Hope Stone Kids New Orleans (now Upturn Arts), an arts outreach program that provides artistic learning opportunities for at-risk youth. As a founding member of the Heart Hustle Collective, she has created and produced three original pieces; The Circus LoveSick (San Diego, CA), Mimicry (San Diego, CA) and Quinta Essentia (New Orleans). Annalyn currently resides in Brooklyn. James Morrow (Hip Hop Dance Instructor) A native of Chicago, IL. James Morrow is the founder and artistic director of james morrow/ The Movement. Coming from an urban background, Morrow yearns to see the contemporary composition prevalent in concert dance integrated into the hip-hop culture with which he is submerged. His movement has become a fusion of modern, contemporary, and urban dance styles. His choreography can be seen on companies throughout the U.S. and internationally working in Utrecht, Vienna, Mumbai, Puebla, Toronto, Montreal, Krasnoyarsk, Kerch, Vancouver, London, and New Brighton. This is his second year teaching in the Youth Arts Program at the Bates Dance Festival. As a dance educator, Morrow has worked as full- time dance faculty/ assistant professor of dance at Northeastern Illinois University, Florida State College at Jacksonville, Episcopal School of Jacksonville, Hartford Academy for the Arts, Pioneer Valley Performing Arts, and Salem State University. He is currently living in Virginia Beach,VA. and working as an assistant professor of dance at Old Dominion University. Priscilla Rivas (YAP Director, dance & visual arts instructor) is the artistic director of the Colombian Folkloric Ballet and a performer/choreographer with the Gypsy Dance Theatre. She is actively involved in teaching dance to children in urban areas. Priscilla holds a BS degree in Early Childhood Education, a Masters Degree in Educational Leadership, and is currently a PhD student at the University of Houston’s College of Education. She has been an elementary classroom teacher for 8 years, a vice principal for 4 years and is now the principal of a performing and visual arts elementary school in Houston, Texas. 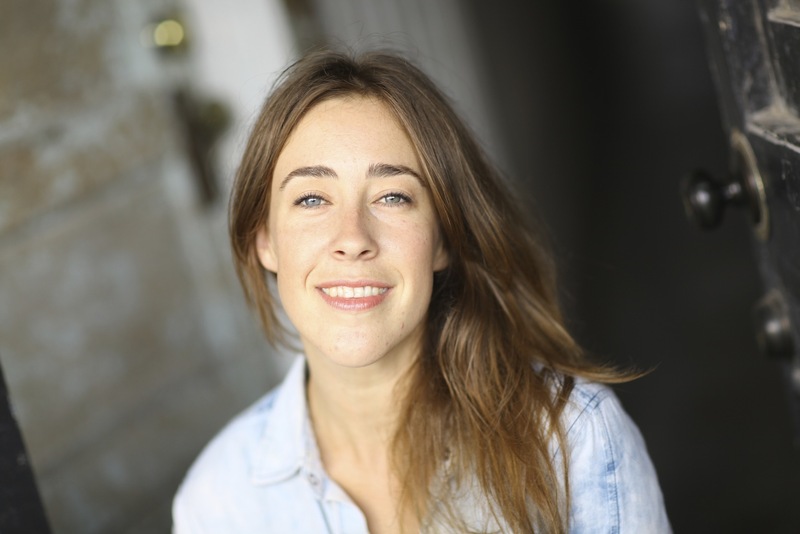 Madeline Warriner (choreography instructor) is a movement artist, educator, and advocate residing in Brooklyn. 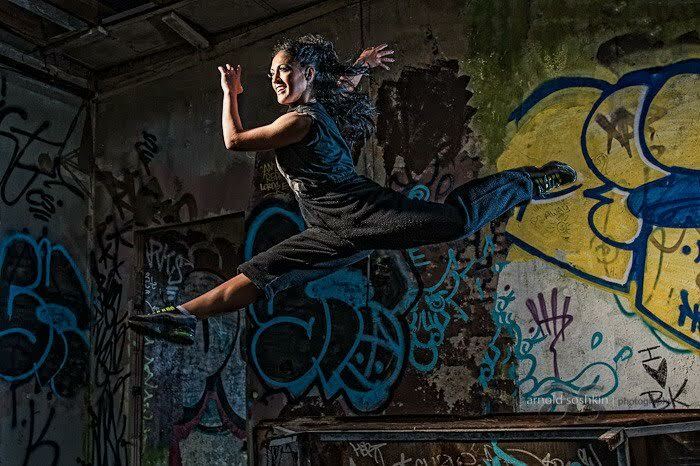 She graduated from Rutgers University with a BFA in Dance and an MEd in Dance Education, where she received university, state, and professional awards. She has performed works by Doug Elkins, Manuel Vignouelle, and Robert Battle, and was a core company member of Stephan Koplowitz site-specific work Milltown, part of Bates Dance Festival’s 35th Anniversary Celebration. She is currently working with Joanna Mendl Shaw of The Equus Project, and an improvisation collective with Shantelle Courvoisier Jackson, as well as producing projects of her own. She currently teaches at Dancewave in Brooklyn and in the outreach program at Dance Theatre of Harlem, and has taught dance and choreography workshops and classes throughout the tri-state area, Vermont, Maine, and D.C. She teaches Yoga and Pilates to adults and children throughout New York, and created Harlem Yoga Studio’s Kids Yoga Teacher Training and subsequent curriculum. She has also shared her research and practice on movement, mindfulness, and cognitive development in various education professional development workshops and conferences. After working with the Youth Arts Program and the Young Dancers Workshop in other capacities, she is incredibly excited to be joining the YAP faculty this year!